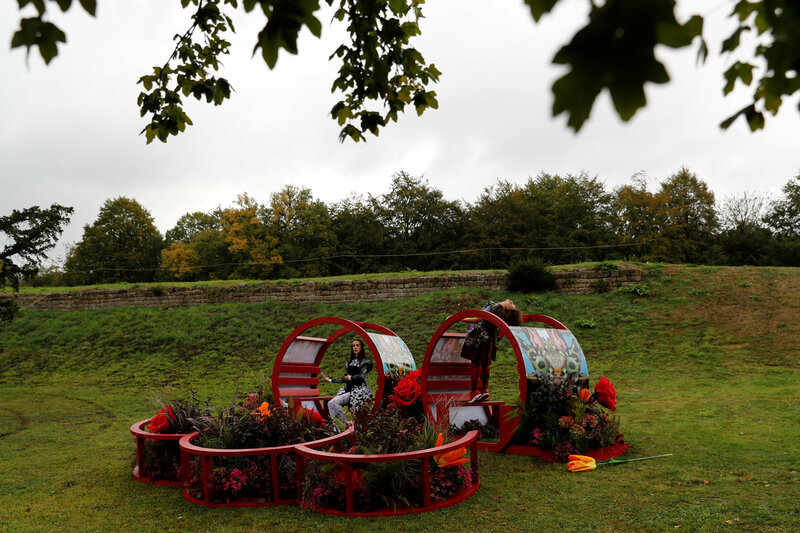 Sterling’s “Bower of Bliss” is a response the Queen Mary’s Bower, a raised structure in the 105-acre garden which some believe was built in the 1570s as a space for Mary to exercise while she was held captive for her alleged involvement in plots assassinate her cousin Elizabeth I.
Mary was forced to abdicate in 1567 after she was implicated in her husband’s murder and was then imprisoned in England by Elizabeth I from 1568 and executed in 1587. 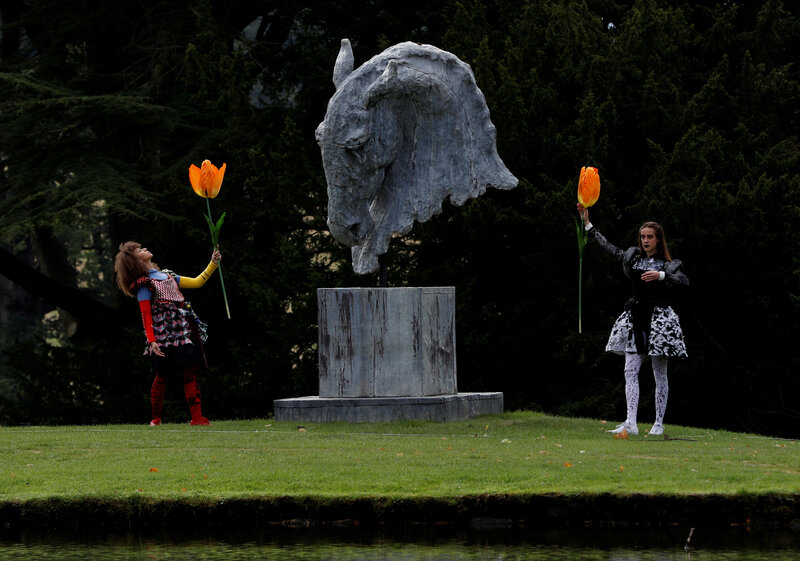 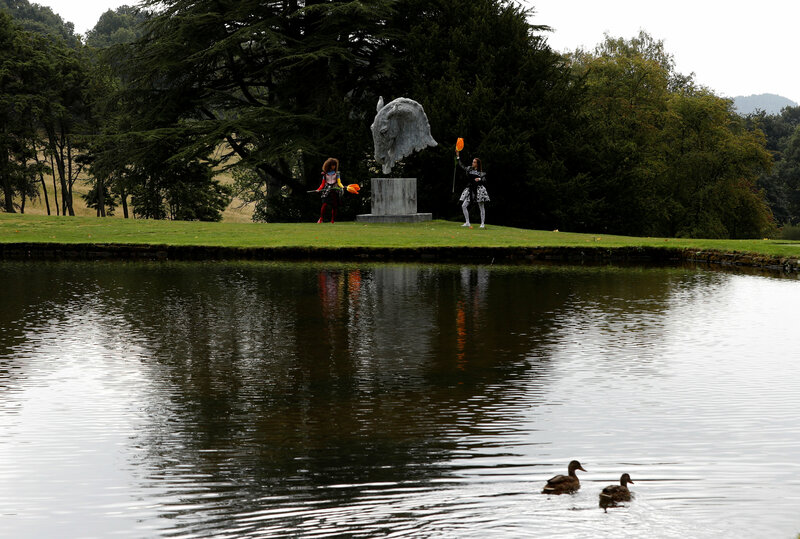 Sterling’s installation is one of the highlights of a new sculpture exhibition called “Chatsworth Outdoors: Grounds for Sculpture”, which opens in the garden of the Derbyshire estate on Sept. 14. 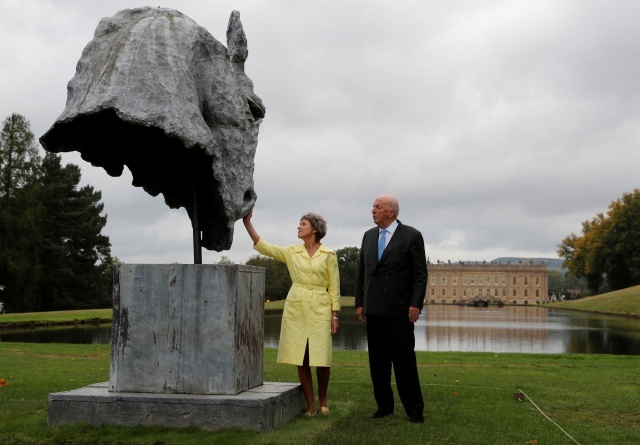 Among the 35 works on show is a standing male cast iron figure by Antony Gormley called “Learning to be I”, and “Into the Wind”, a bronze sculpture of a horse’s head by Nic Fiddian-Green.